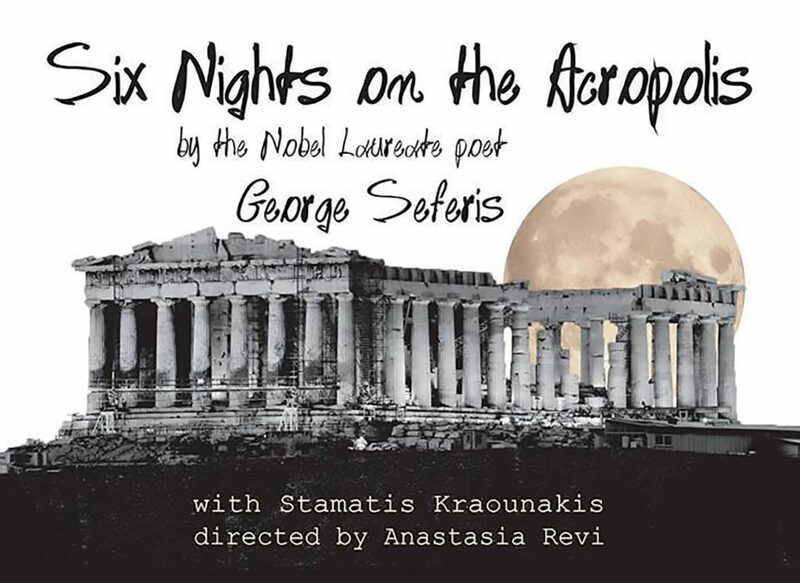 Six Nights on the Acropolis, the only completed novel written by the Nobel laureate poet George Seferis, is a narrative of confessions, love and friendship, and it revolves around an aspiring poet, and the visits of seven young friends to Acropolis on six consecutive nights of full moon. The poet, a would-be Greek, is someone who after years abroad, cannot see how to “find my path in my own country” and compares himself to the reproduction on the Acropolis of a caryatid that was spirited away to the British Museum a century before. The moonlight on the Acropolis is almost a character in its own right, “that plunged over all like a fishnet woven of violet steel.